Copies of Zogby’s Arab Voices: What They’re Saying to US and Why it Matters? (Palgrave/Macmillan, 2010) will be available for purchase. 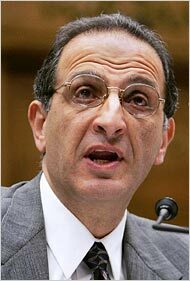 Dr. James J. Zogby is the founder and president of the Arab American Institute (AAI), a Washington, DC-based organization which serves as the political and policy research arm of the Arab American community. Since 1985, Dr. Zogby and the AAI have led Arab American efforts to secure political empowerment in the United States through voter registration, education and mobilization, and have thus helped move Arab Americans into the political mainstream. For the past three decades, Dr. Zogby has been involved in a full range of Arab American issues. As co-founder and chairman of the Palestine Human Rights Campaign in the late 1970s, he also co-founded the Arab-American Anti-Discrimination Committee. In 1982, he co-founded Save Lebanon Inc, a humanitarian relief organization which funds health care for Palestinian and Lebanese victims of war, and other social welfare projects in Lebanon. In 1993, following the Rabin-Arafat signing of the Israeli-Palestinian peace accord in Washington, Zogby was asked by then-Vice President Al Gore to lead Builders for Peace, a private sector committee to promote U.S. business investment in the West Bank and Gaza. In this capacity he served on delegations with senior U.S. and international officials.